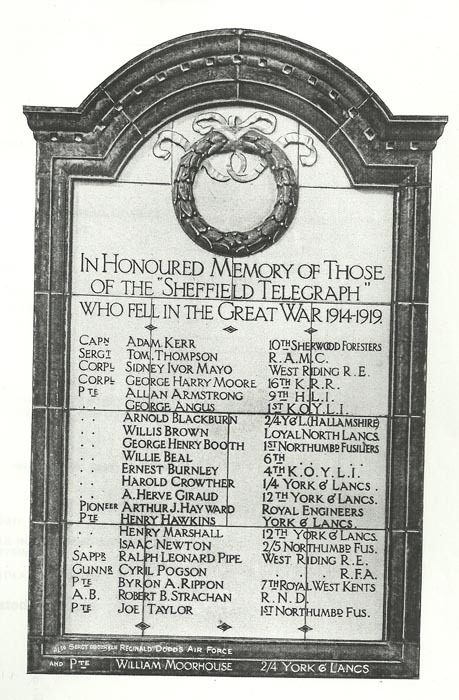 Sheffield Telegraph Roll of Honour. This roll is in pieces on a pallet in storage at Kelham, it is complete though. It was originally at Kemsley House.